$1 Incredibly Useful Creativity Deal! 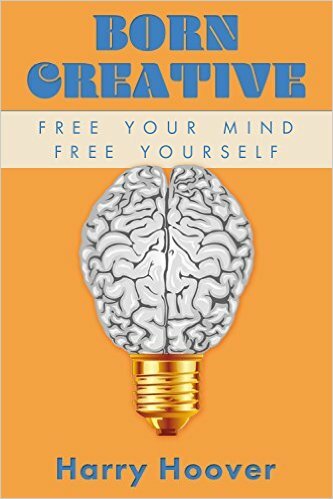 *Born Creative: Free Your Mind, Free Yourself (Deal, Not Free) by Harry Hoover. Cost: $0.99. Genre: Creativity Book Deal, Sponsor, Money & Business, Self-Help, Religion & Spirituality, Personal Transformation. Rated: 4.8 stars on 11 Reviews. 25 pages. ASIN: B015GHMBCG. Reviewers love it: A practical, fun and incredibly useful guide to unlocking your inner creativity! In 25 compelling pages, he explains what creativity is, and why it is in all of us and not just the chosen few. In this brief and enjoyable book, he explains how to be creative and come up with many possible solutions to problems! *Cold Reading (A Nick Shaw Mystery Book 1) (Deal, Not Free) by David Wisehart. Cost: $0.99. Genre: Mystery Deal, Sponsor, Heist, Noir, Organized Crime, Amateur Sleuths, Hard-Boiled, Psychics, Kidnapping, Murder Mystery, Serial Killers, Vigilante Justice, Conspiracies. Rated: 4.8 stars on 6 Reviews. 179 pages. ASIN: B01BSPLY46. Reviewers love it: This was a fun “private eye” mystery to read! It had loads of surprises and twists and turns! Nick Shaw is a very funny and likable character! I liked the humor that was mixed in equal parts with the mystery and the suspense. It was written very well and I am hoping there is a follow up book! *Plagued, With Guilt (Deal, Not Free) by Michael Jason Brandt. Cost: $0.99. Genre: Historical Thriller Deal, Sponsor, Medical Thrillers, Historical Fiction. Rated: 4.1 stars on 15 Reviews. 498 pages. ASIN: B00ZY71EGI. ISBN: 0996498400. Reviewers like it: It is with great enthusiasm that I recommend this brilliant book! It is much more than a fictional novel. It is enlightening, educational, as well as entertaining! Masterfully written! Not only did I want the story to continue past the ending, but I also continue to think about it and will re-read this book! Thank you for the memorable read! *Here for You (Deal, Not Free) by KC Ann Wright, Aeroplane Media. Cost: $0.99. Genre: Adult Romance Deal, Sponsor, Sports Romance, Contemporary Romance. Rated: 4.4 stars on 36 Reviews. 262 pages. ASIN: B00VC9TMFC. Reviewers love it: Great read! This is a charming and entertaining sports romance. What a fantastic read! I laughed and cried along the way. Ms. Wright hit this one out of the ballpark! I would recommend it over and over again! *Biggest Secrets in Weight Loss: Permanent Weight loss (Deal, Not Free) by John P Latham, JP Latham, Shayna Latham. Cost: $0.99. Genre: Weight Loss Deal, Sponsor, Weight Maintenance, Diet Therapy, Food Counters, Health, Fitness & Dieting, Budget, Cookbooks, Food & Wine, Low Fat, Eating Disorders, Self-Help, Eating Disorders & Body Image. Rated: 4.5 stars on 12 Reviews. 57 pages. ASIN: B00CO7B8DA. Reviewers love it: This is just what I needed! This book taught be about the connection between food and my workouts. Awesome guide to keep handy for motivation! Try it, it helped me! I am so glad I decided to read it! ***POD (The Pattern Universe) (Deal, Not Free) by Tobias Roote. Cost: $0.99. 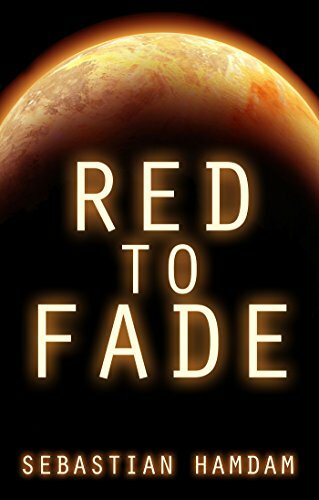 Genre: Science Fiction Deal, Sponsor, First Contact, Space Opera, Adventure. Rated: 4.4 stars on 131 Reviews. 228 pages. ASIN: B00J70YY0G. Reviewers love it: This was a cut above the rest in the storytelling department! Excellent book, very well written! A page turner, just like the first one! Mr. Roote, keep up the good work – you have another fan! I always give five stars to books I couldn’t put down, and this one fits the bill! *Dark Moon Rising (The Prophecies of Zanufey Book 1) (Deal, Not Free) by A. Evermore. Cost: $0.99. Genre: Fantasy Deal, Sponsor, Women’s Adventure, Coming of Age, Epic Fantasy, Sword & Sorcery, Women’s Fiction, Metaphysical & Visionary, Contemporary Women, Action & Adventure, Religious. Rated: 4.5 stars on 6 Reviews. 407 pages. ASIN: B00J7SXLXO. Reviewers: A beautifully wrought fantasy with every element you could ever crave in the genre! Very refreshing! Not only a book that will keep you reading, but will make you want to read again! *The Secret Sabbatical: The Revolutionary Approach to Recover Your Imagination and Discover Your Destiny for the Rest of Your Life (Deal, Not Free) by David Cawood Ph.D.. Cost: $0.99. Genre: How to Plan for Retirement Deal, Sponsor, Self-Help, Personal Growth, Happiness, Personal Transformation. Rated: 4.3 stars on 6 Reviews. 246 pages. ASIN: B00VUAKGWQ. Reviewers like it: A business book for the soul! This is a dense, yet engaging book about self discovery! It is not a quick read like “Who Moved My Cheese.” Take a long, leisurely stroll through the book and you’ll be glad you did! *Candlelight Kisses: Book 1 in the Almost an Angel Series (Deal, Not Free) by Jennifer Youngblood, Sandra Poole. Cost: $0.99. Genre: Christian Romance Deal, Sponsor, Contemporary Romance. Rated: 5 stars on 4 Reviews. 161 pages. ASIN: B01BZIP9OM. Reviewers love it: Delightful! Reading this felt like a tantalizing episode of a TV series! I really enjoyed this book! A fun, clean romance that keeps you entertained! I am eagerly anticipating the next one in the series! 6 Unbeatable Kindle eBook Deals for Wednesday! Excellent Christian Romance $1 Deal! *Re-Wired (Deal, Not Free) by Greg Dragon. Cost: $0.99. Genre: Technothriller Deal, Sponsor, Science Fiction, Cyberpunk, Dystopian, Post-Apocalyptic, Technothrillers. Rated: 4 stars on 27 Reviews. 154 pages. ASIN: B00RQUS36K. Reviewers love it: Fantastic! This book reminds me of the novels of Jules Verne, who wrote about things that were implausible at the time but have since come to pass. An amazing read that had me hooked from the first page! It made me THINK, which is a rarity! This was fabulous! I expect great things from this author and will be reading more from him! *The Secret Sabbatical: The Revolutionary Approach to Recover Your Imagination and Discover Your Destiny for the Rest of Your Life (Deal, Not Free) by David Cawood Ph.D.. Cost:$ 0.99. Genre: Retirement Planning, Sponsor, Self-Help, Personal Growth, Happiness, Personal Transformation. Rated: 4.3 stars on 6 Reviews. 246 pages. ASIN: B00VUAKGWQ. Reviewers like it: A business book for the soul! This is a dense, yet engaging book about self discovery! It is not a quick read like “Who Moved My Cheese.” Take a long, leisurely stroll through the book and you’ll be glad you did! *The Black Lotus: Night Flower Book 1 (Deal, Not Free) by Claire Warner, Sarah Jolly. Cost: $0.99. Genre: Historical Fantasy Deal, Sponsor, Historical Fiction, Paranormal & Fantasy, Sword & Sorcery, Gothic, Fantasy & Magic. Rated: 4.2 stars on 21 Reviews. 377 pages. ASIN: B00J69MC5M. Reviewers: This book was an awesome surprise! I found it incredibly refreshing! The description of life in the eighteenth century were so vivid that I could picture most of it! Well written! Verdict: if you are a fan of historical fiction filled with romance, don’t miss out on this book! *(Box Set Deal, Not Free) EDGE: A Young Adult/New Adult Paranormal Collection (Deal, Not Free) by Riley J. Ford, Rebecca Hamilton, Sarah Dalton, JC Andrijeski, Laxmi Hariharan, Debbie Herbert, Apryl Baker, April Aasheim, Angela Fristoe, Shalini Boland, Eva Chase, Rachel McClellan, Kimberly Loth, Shannon Eckrich, Angel Lawson, Katie Salidas, H.D. Gordon, Stacy Claflin, Marissa Farrar, Cindy Thomas. Cost: $0.99. Genre: New Adult Paranormal Romance Box Set Deal, Sponsor, NY Times & USA Today Bestselling Authors, Mythology & Folk Tales, Fairy Tales, Paranormal & Urban, Vampires, Witches & Wizards. Rated: 5 stars on 1 Review. 244 pages. ASIN: B01A93D6US. 20 NY Times, USA Today and International Bestselling Authors. This collection has 20 of today’s most magical, sought after titles, an absolute steal for $0.99! *The Selfish Guide to Stress: How to Take Back Your Life When You’re Exhausted, Overworked, And Ready for A Change (Deal, Not Free) by Nicholas Caldwell. Cost: $0.99. Genre: Stress Management Deal, Sponsor, Self Help, Time Management, Business & Money. Rated: 4.9 stars on 19 Reviews. 76 pages. ASIN: B01B6WT7IQ. Reviewers: A fresh take on a common problem! If you feel overwhelmed and exhausted, this is the guide to get your life back! This book was exactly what I was looking for! The words “so embrace it, be selfish with a purpose” will stick with me forever! I highly recommend this book if you are under pressure and need a plan with a systematic approach to help you deal with stress and anxiety in your life. An awesome, inspirational read! Posted on March 2, 2016 Author KibetCategories $1 Kindle eBook DealsLeave a comment on 6 Unbeatable Kindle eBook Deals for Wednesday!